Haemophilus influenzae is a non-motile Gram-negative, coccobacillary, facultatively anaerobic bacterium, and it’s Oxidase and Catalase postive. Non-capsulated group, The non-encapsulated strain of H. influenzae is present in the nasopharynx of approximately 75 percent of healthy children and adults so H. influenzae cultured from the nasopharyngeal cavity or sputum would not indicate H. influenzae disease, because these sites are colonized in disease-free individuals. However, H. influenzae isolated from cerebrospinal fluid or blood would indicate H. influenzae infection. The bacterial transmission spread person-to-person by direct contact or through respiratory droplets like coughing and sneezing. Clinical diagnosis of H. influenzae is typically performed by bacterial culture or latex particle agglutinations. 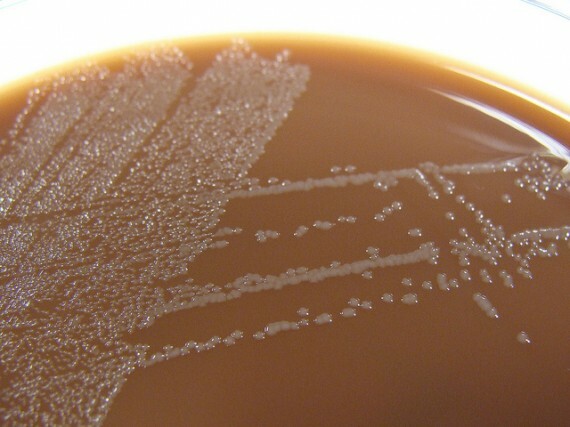 Haemophilus influenzae requires X(Hemin) and V(NAD) factors for growth so H. influenzae culture is performed on chocolate agar, which contain X (hemin) and V (NAD) factors and the plate is placed at 37°C in a CO2-enriched incubator. H. influenzae can’t grow on Blood agar as it lacks the growth factors X and V but in special case the growth is only achieved as a satellite phenomenon around other bacteria for example H. influenzae will grow in the hemolytic zone of Staphylococcus aureus on blood agar plates; the hemolysis of cells by S.aureus releases factor V which is needed for its growth. H. influenzae will not grow outside the hemolytic zone of S.aureus due to the lack of nutrients such as factor V in these areas. Colonies of H. influenzae appear as convex, smooth, pale, grey or transparent colonies. 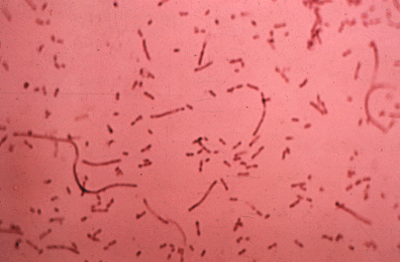 Non-encapsulated organisms from sputum are pleomorphic and often exhibit long threads and filaments. The organism may appear Gram-positive unless the Gram stain procedure is very carefully carried out. The latex particle agglutination test (LAT) is a more sensitive method to detect H. influenzae than culture. Because the method relies on antigen rather than viable bacteria, the results are not disrupted by prior antibiotic use. (PCR) assays have been proven to be more sensitive than either LAT or culture tests, and highly specific. There’s a vaccine that can prevent disease caused by Hib (Type B), but not the other types of Haemophilus influenzae bacteria and it’s recommended for children under age 5 and patients with splenectomy.